Lock and unlock Switch, Can maintain flow of flame by + to - switch. Provides safe, odourless, adjustable flame, instead of only spark as in case of traditional kitchen lighters. 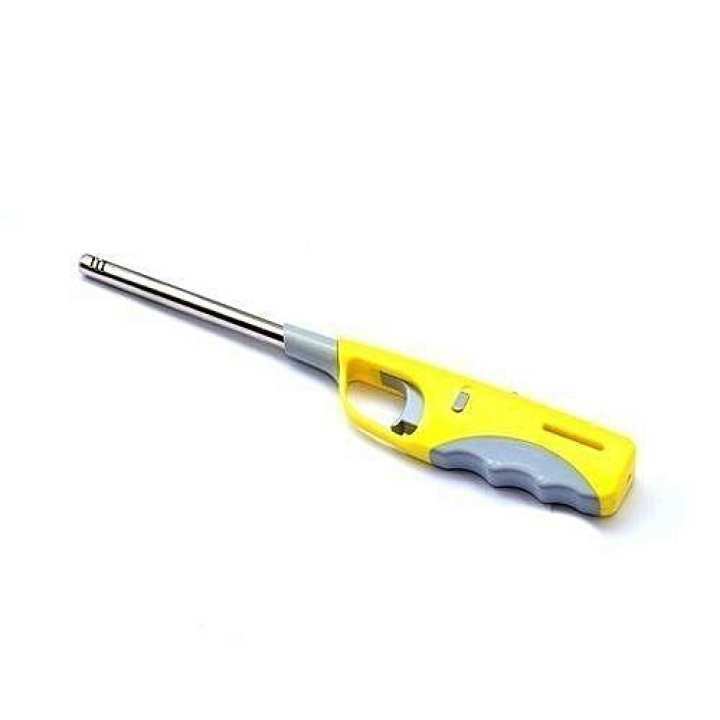 Suitable and highly recommended for enhanced safety, for using in Kitchen for lighting Gas Stoves. Lighter can be refilled time and again with an easy to use refill can provided along with. Works out to be cheaper than match sticks. It has multiple applications. Can be used for lighting LPG stoves, Camping Stoves & Lamps, Barbecue Grills, Bonfire, Candles, Diyas, Agarbattis, Crackers, Cigars, Cigarettes and any other similar application.